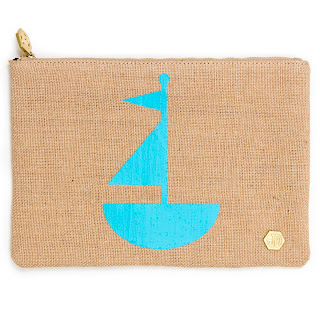 This adorable nautical bag was in the LA Times style section yesterday and I had to share! ummmm these are seriously some of the best finds in a long time! 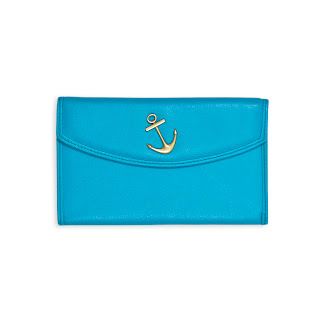 For one, I have been obsessing over those colors of blues together and those wallets are seriously amazing. I can see myself "needing" one of those soon! I want all of it!!! All of these products are amazing! 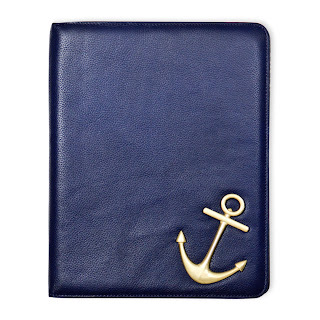 I particularly like the letter opener and Jonathan Adler tote! Oh, Jonathan. I always love everything! 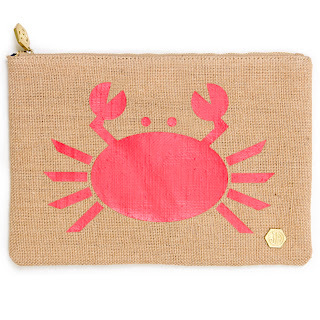 I really want that crab pouch!! 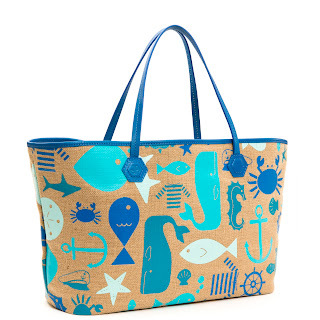 Giant whales on a tote? YES PLEASE!!! Oh my gosh I want one of each!! So glad you posted this! 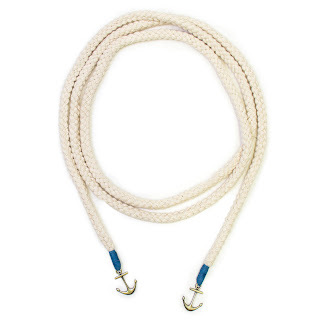 I've been looking for a really cute Anchor lamp for the baby's room. The mermaid cup is also too cute! 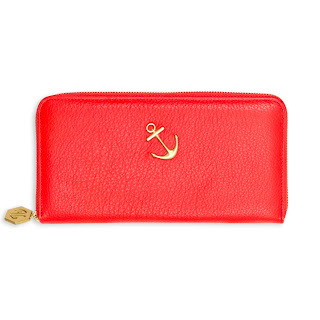 The wallet is so cute!